Canturi Renaissance diamond engagement ring in a double scalloped set halo available with an oval cut diamond (shown) or a variety of diamond shapes and sizes. 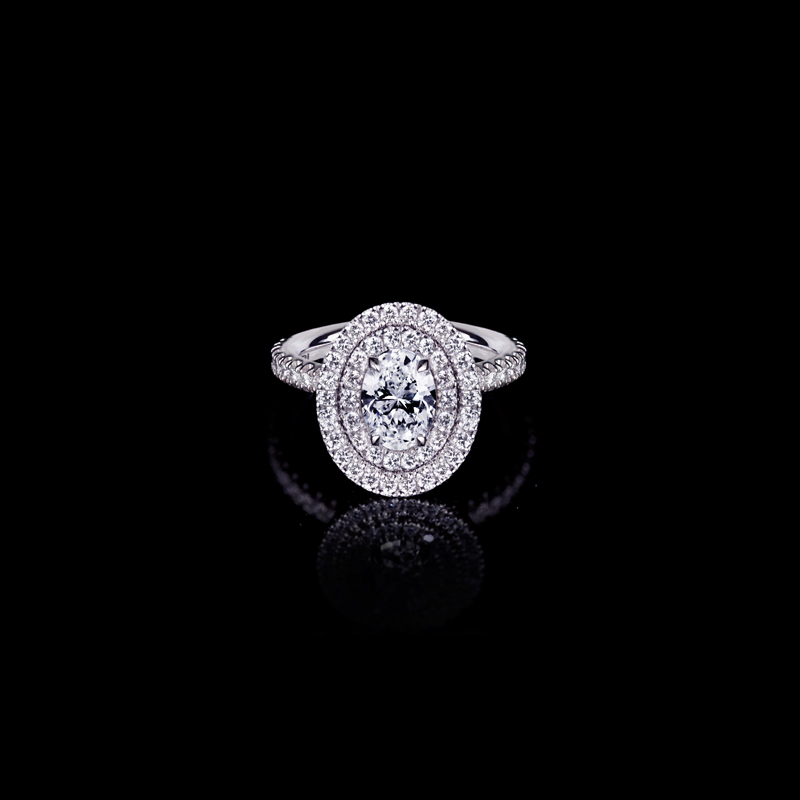 In 18kt white gold, also available in yellow gold or pink gold. Cubism diamond Starburst necklace in 18ct white gold.